Want to buy bitcoin without getting ripped off? Although it’s simple and convenient to buy bitcoin with a debit or credit card, it’s NOT the cheapest way. Although there are some exceptions (e.g., Wirex), most places will charge upwards of 4% in fees when buying bitcoin with a debit or credit card in the UK. In this guide, I’m going to walk through some popular, well-recommended, and cheaper ways that you can buy bitcoin in the UK. Who is the Cheapest Bitcoin Seller? How close is the asking price to the real BTC to GBP exchange rate? Are there any fees (fixed or percentage-based)? Are you purchasing in GBP or EUR? If you don’t ask these questions, you’ll probably end up getting fewer bitcoins (or satoshis) than you otherwise could. The real BTC to GBP exchange rate is the average mid-market rate across popular bitcoin exchanges. It’s also known as the Bitcoin Price Index (BPI or XBP). It’s an honest indication of what the value of 1 bitcoin currently is. I use Preev to check the BPI. When you buy bitcoin from many places, they’ll (almost 100%) sell you bitcoin at a rate which doesn’t match the real BTC to GBP exchange rate. Why? That’s their profit margin. You can quickly compare prices (and their relative % above the BPI) with BittyBot. 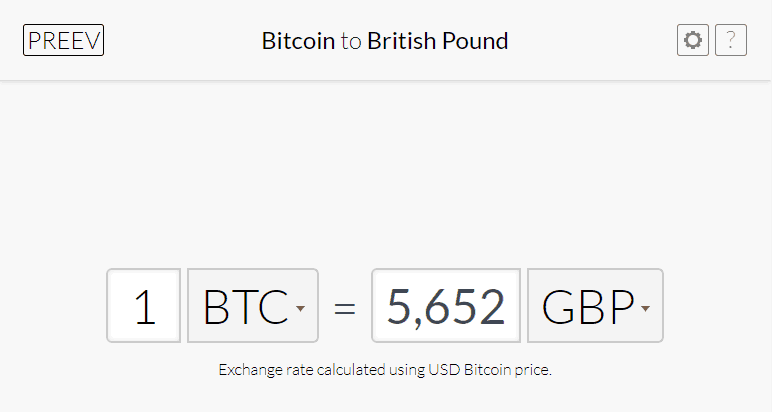 At the time of writing, the real BTC to GBP exchange rate was £5652. If you were buying 1 bitcoin with a debit/credit card through Coinbase, you’d pay an additional £225. Paying such high fees is 100% unnecessary. You’re just throwing money away. There are much better things to waste your hard-earned pounds on. While most services charge percentage-based fees, some do charge fixed-rate fees instead. Your preference for either depends on how much bitcoin you’re intending to buy. “Seller A” charges a fixed fee of £20. “Seller B” charges a percentage fee of 2%. If you’re buying larger amounts of bitcoin, then fixed-rate fees are probably better. If you’re buying smaller amounts of bitcoin, then percentage-based fees are probably better. Many popular exchanges, like Kraken and Bitstamp, don’t accept GBP deposits. If you want to buy bitcoin on these exchanges, you’ll need to send EUR instead. When you do this from a GBP bank account, your bank will handle the GBP to EUR exchange for you. Unfortunately, UK banks will exchange between these currencies at a terrible exchange rate. It’s not uncommon for people to lose more than 5% of their money when exchanging currencies with a UK bank. To add insult to injury? Some UK banks still charge fees to send EUR with a SEPA transfer. This varies from bank-to-bank, but Santander charge £15 and Barclays charge £5. When looking to buy bitcoin, we must take account of these hidden fees. If we don’t, it distorts our impression of what is really the cheapest option. There are three best options if you’re looking to buy bitcoin in the UK for the best possible price. Coinbase Pro (previously GDAX) is the cheapest place to buy bitcoin in the UK. Coinbase Pro was the first major bitcoin exchange to receive an e-money license from the Financial Conduct Authority (FCA). This means they now accept GBP deposits through the UK Faster Payments Service. Coinbase has now completed its rollout of GBP support for all UK customers. You can now send GBP to Coinbase Pro and it’ll be credited in less than 2 hours. When I’ve made deposits, it’s taken just 30 minutes. You’ll be able to buy bitcoin at the best possible rate and without incurring barely any fees (0.15%). When you signup to Coinbase through this link, you’ll receive a $10 (approx. £7) bonus (paid in bitcoin) when you buy more than $100 (approx. £77) of bitcoin. It’s 100% worthwhile to take advantage of this signup bonus. If you signup through this link and bought £100 worth of bitcoin on Coinbase (not Coinbase Pro), you’d actually end up with £107’ish worth of bitcoin. Want to see how it works? Check out these guides. FYI: All images can be enlarged by clicking them. You’ll be asked to enter your UK bank account’s sort code and account number. You’ll now see some payment details. To verify the UK bank account, send a small payment (£2) to the details provided. Once Coinbase received this small deposit, your UK bank account will become verified. Although it says it can take up to 2 hours, I’ve had multiple deposits credited in about 30 minutes. You should receive an email when the deposit has been received. 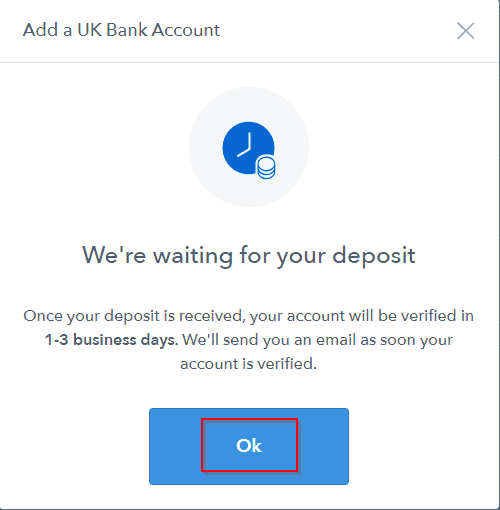 Once you’ve verified your UK bank account, it’s possible to deposit GBP directly to Coinbase Pro. You can login to Coinbase Pro with your Coinbase details. Both these services are operated by the same company. Send GBP funds to the account details provided. Within 2 hours, the deposit should be credited to your Coinbase Pro account. If you want to buy bitcoin without incurring ANY fees, then you’ll need to submit a limit order on Coinbase Pro. This might seem a little overwhelming at first. Don’t be discouraged though – it’s easier than it appears to get started. Until you’re comfortable with the process detailed below, consider buying the smallest amount possible. At the time of writing, that’s 0.001 BTC. In the top left, check that you’re on the BTC-GBP market. Select BTC-GBP from the drop-down that appears. To ensure you pay no fees, check that Post Only (under Execution) is selected. In ‘Order Book’, select: the highest green number. This will autofill the limit price box in the left sidebar. The highest green number is the highest price currently submitted to the order book for a BTC purchase. In the left sidebar, enter the amount of BTC you want to purchase at that price. At the bottom of the left sidebar, you’ll see the fees and the total cost to submit this order. If you want to spend less/more, modify the BTC amount you previously entered. 0.001 BTC is the minimum. You’ll find this buy order under ‘Open Orders’. You’ll also see the size (in BTC) of this order appear in ‘Order Book’. If the status of the order hasn’t changed after 2-3 minutes, cancel (by clicking the small x) and re-submit the order. The status of the order will change (from Open to Filled). You’ll see a summary of the completed order in ‘Fills’. In the left sidebar, you’ll see that your balance has changed! Cheapest way to buy bitcoin in the UK. Deposits are free and credit in <2 hours. Fund with GBP via Faster Payments. Real BTC to GBP exchange rate. Reputable and trusted exchange (recently awarded FCA e-money license). Don’t need to verify identity with multiple companies (just Coinbase). Coinbase is well-known for their bad customer support (1* Trustpilot rating). Coinbase attracts animosity from segments of the crypto-sphere. Beginners might struggle with Coinbase Pro’s interface. Your second option is long-winded and nowhere near as convenient as option #1, but it’s another cheap way to buy bitcoin in the UK. It’s been a popular workaround used by UK residents to buy bitcoin as cheaply as possible since mid-2017. Open an account with Revolut (mobile banking app) and Bitstamp (cryptocurrency exchange). Search for EUR and tap on it. Activate your EUR account in Revolut. Details should populate, with the beneficiary (your name), IBAN, and BIC. 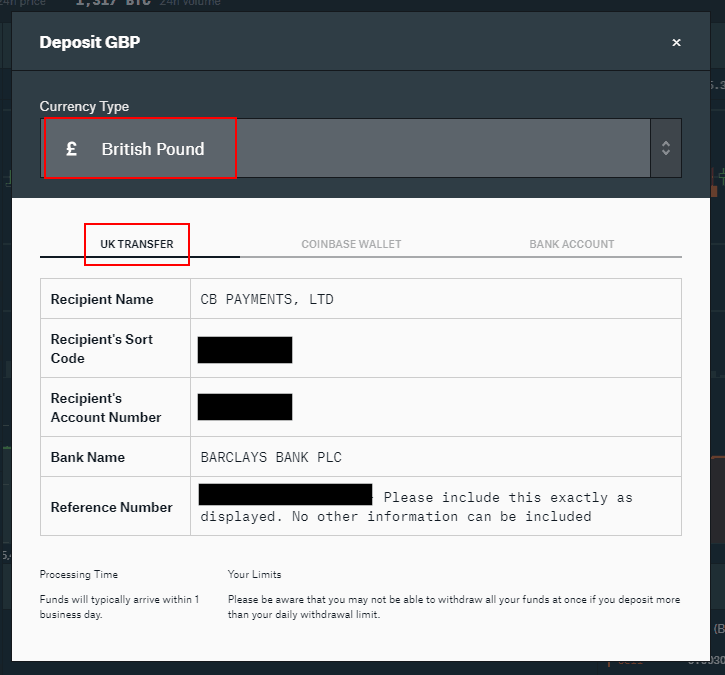 Transfer funds from GBP bank account (via transfer or debit card) to your GBP Revolut account. Exchange GBP funds in Revolut to EUR (at the real exchange rate, instantly). Buy bitcoin on the BTC/EUR market at the best possible rate. Before doing this, make sure you’ve activated your EUR wallet in Revolut. 1) On Bitstamp, click ‘Deposit’ at the top of the page. 2) Select ‘EU Bank (SEPA)’ in the left navigation bar. 3) A warning will pop-up. This will ask you to confirm that the transfer is coming from an account in your name. As long as you’ve activated your Revolut EUR account (see above for instructions), you shouldn’t have a problem. 4) Enter some details about the transfer, then click ‘Deposit’. Confirm the first and last name on your Revolut EUR account. Swiping to EUR on the Revolut dashboard. Clicking on your EUR balance. Under ‘Account Balance’, select ‘Euro’. Under ‘Amount’, enter how much you wish to deposit. 5) You’ll now see the deposit details. 7) When you’re ready, select this new beneficiary. 8) Input the desired amount and make sure that you enter your reference number (provided by Bitstamp) in the highlighted area. If you don’t, your payment might be delayed or rejected. Make sure you put in your reference! 9) Double check everything and send the money over. It’ll usually be credited in 1 business day, but can take longer. Cheap way of buying bitcoin. Interbank exchange rate (with no fees). Bitstamp EUR deposits are free. Bitstamp seems well-recommended in /r/BitcoinUK threads. Only need to verify identity through two companies (Revolut and Bitstamp). You can send, spend, withdraw, and exchange (in a non-GBP currency) the first £5000 for free every month. After that, you pay a 0.5% fee for cross-currency transactions. 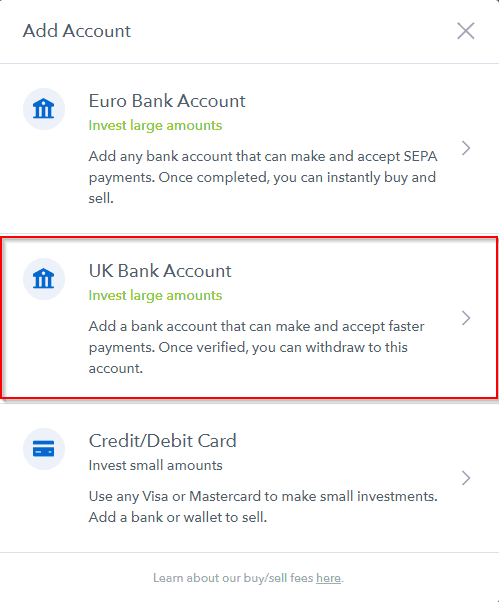 Funding your Revolut account is instant, but transferring to an exchange is NOT. It can take as little as 3 hours or up to 24 hours to transfer from Revolut to an exchange. If you send a payment on the weekend, it will NOT be credited until Monday. Revolut is a smartphone app. No desktop version available. I’ve written a follow-up post which answers some of the most FAQs received here. If you’re taking this route, LocalBitcoins is usually the cheapest. Your third best option is to buy bitcoin through over-the-counter (OTC) services with a GBP UK bank transfer. While you won’t get the best possible price when using these options, they are still quite competitive. Most of these options are usually selling at rates which are no more than 2.5% above the real BTC to GBP exchange rate. This is still better than many options recommended across YouTube, Reddit, and other websites. For example, Coinmama charges you more than 10% in fees when buying bitcoin. That’s somehow shocking, insulting, and amusing all at the same time. Convenient, quick, and easy (once you’re verified). Competitive prices (usually less than 2.5% above the real exchange rate). You might need to pay network fees (< £0.10). Purchase with GBP, avoiding complication of GBP to EUR exchanges. You’ll need to verify your identity (ID, bank card, and maybe more) with most of these services. Bitcoin prices will be above the real BTC to GBP exchange rate. If you want to buy bitcoin at the best possible price, then buying through Coinbase Pro (option #1) is a no-brainer. While getting verified can be a bit of a headache, it’s worth the effort to avoid getting ripped off. Since the introduction of support for UK Faster Payments, Coinbase Pro is now the cheapest way to buy bitcoin in the UK. But what about if you don’t want to use Coinbase Pro? The other options I’ve mentioned are still competitive. In fact, they’re only becoming more competitive with the popular exchanges. When I was updating this post, BeyondCC were advertising rates at less than 0.75% above the real BTC to GBP exchange rate. Some reputable Localbitcoins sellers were selling at about a 1% premium. These are still excellent rates. Hardware wallets aren’t mandatory, but they are popular and well-recommended across the crypto-community. Hardware wallets are small USB devices which help keep your hard-earned cryptocurrency secure. I personally use the Ledger Nano S. It’s affordable (£74), supports more than 28 coins, and makes securing your cryptocurrency really easy. I think it’s 100% worth the money. 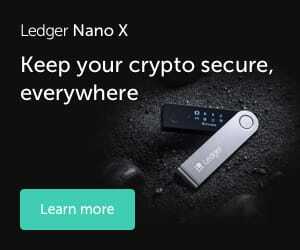 Check out my recent write-up to learn more about the Ledger Nano S.
Check out my recent list of the best hardware wallets on the market. Thanks to nanonanouk for clarifying that BittyBot includes all fees in their price comparisons. I’d originally stated that this wasn’t the case. promil1 shared their experience that transfers from Revolut to Coinbase don’t take longer than 24 hours (usually less). I’d originally stated that transfers to exchanges take somewhere between 1-2 days. As pointed out by Woodseh, it’s critical that you add Coinbase’s reference number when sending a payment through Revolut. I’ve amended the guide to emphasise this. Have a problem you can’t solve? Or a question you can’t find an answer to? Comment below and let me know! I usually respond within 24-48 hours. Let me know in the comments below or tweet me. Just to clarify, on BittyBot we always include the fees, this does for Cryptosaurus too, otherwise we wouldn’t be much use as a price comparison site! Thanks for clarifying this BittyBot – and apologies. This was an oversight which shouldn’t have got past me. I’ve removed the offending section for the time being. Thanks for the guide, it’s been really helpful in understanding how to get started. I have a an issue which seems to be blocking me using the first method though. I’ve created my accounts on both Coinbase and GDAX, however I can’t create an EUR wallet? I’ve got a GBP wallet there already, but that would charge 3.99% to transfer to. Any idea how why I don’t have access to an EUR wallet, or how to create one? I’d imagine it should just be there once you’ve signed up – no need to create it. Should be under Accounts > Left side panel > EUR > Deposit button. Are you fully verified on Coinbase? There could be limitations if you’ve just signed up. Check out this article – might help too. I’m fully verified except for adding a credit/debit card to my account. When I created the account it automatically had a GBP wallet, but no EUR one. I’ve raised a support ticket with Coinbase, but it says they’re likely to take several days to respond. Thank you for the reply, unfortunately that link doesn’t work? Problem magically solved! As I wrote this post, checked my account again and an EUR wallet now appears on my account. I guess it just takes a bit of time? May be worth mentioning it in your blog just in case other newbies like me get the same issue ;). How strange! In any case, thanks for sharing. I’ll make a small adjustment to the post. New issue.. Maybe I’m just not meant to use this method :(. Finally got my Revolut account authorised after having to do the manual process. Trying to send the funds from my EUR balance to Coinbase, and am now getting an error in revolut saying “Transfer Cancelled, Beneficiary Not Allowed”. Double checked all the IBAN/Swift/BIC details etc and they’re all correct. I also set the country the beneficiary is in to Estonia, which is where Coinbase says it’s account is. Haven’t experienced this myself, but Revolut might now be blocking payments to these places. I’ve sent a transaction to test this now in any case. If you’re looking to make a payment ASAP, I’d just use Localbitcoins/GBP-direct alternatives for now. Alternatively, you could also set up a Fire account. Once that’s setup, you should be able to send it through Revolut > Fire > Coinbase/Bitstamp/etc. Haven’t tested this route myself yet though! Thanks for commenting though, I’ll look into this. What wallet do you use to store your BTC after purchasing from one of the exhanges? Is there a wallet that lets you control private keys that integrates in a way that lets you skip the fees in sending your BTC from e.g coinbase to whatever wallet you have? I answered this question here. If there is a way to do this, I’m not aware of it. I would recommend chunking your transfers. For example, accumulate between £500-1000 worth of BTC on Coinbase/GDAX/Bitstamp, then transfer in one transaction to your private wallet. If you are doing this, make sure you enable 2-factor authentication wherever you’re temporarily leaving your BTC. Do you have any methods on transferring bitcoin back to GBP? I’m unsure which is the best service to use if I wish to cash out my bitcoin and get it into my UK bank account. – Transfer BTC to GDAX. – Sell BTC at market rate/limit sell for EUR. – Select ‘Withdraw’, select ‘SEPA’, and fill in all the details. If Revolut isn’t there, add your EUR IBAN details. – When funds land in Revolut, exchange it from EUR to GBP (fee-less, unless you’re over the £5000 monthly exchange/receive/send limit). – Send to your GBP bank. If possible, do this on a weekday – Revolut charges a 0.5% markup on their foreign exchange rate on weekends (for popular currencies, more for less popular). If the Revolut monthly limit impacts you, check out this link. Alternatively, you could just sell to a reputable person on LocalBitcoins and just get GBP straight away – without all the faff. For larger amounts (>£5000), Coinfloor might be worth checking out (can’t vouch). Hi do you know if this method would work for SEPA € withdrawals from anycoindirect.eu to revolut ?? I don’t have any experience with anycoindirect – so I can’t say for certain. Given that Revolut don’t block most cryptocurrency exchanges, I don’t see why they wouldn’t accept SEPA payments from this exchange too. If you want to make 100% certain, you’ll need to get in touch with them (to do this: Open Revolut App > Select ‘More’ (at bottom)> Select ‘Support’ (at top) > Put in your query until the bot connects you to a customer service rep). If you can’t be bothered with that, just send a small test payment and find out yourself! Most SEPA transfers take under 24hours on weekdays. 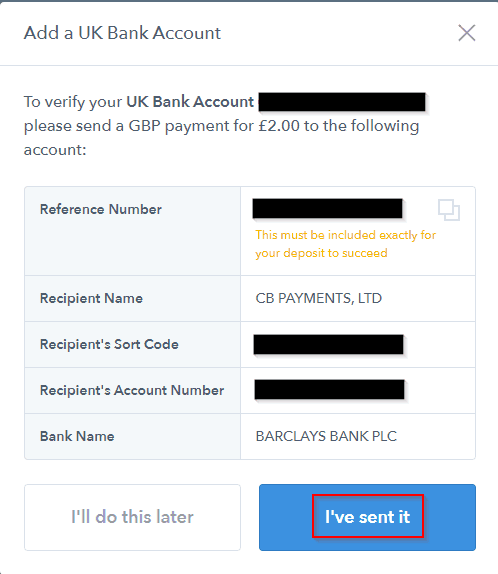 Coinbase lists a “Bank address” (Estonia) and a “recipient address” (England) – which of these do you plug into the “Country” field on the Revolut transfer screen? Hey – use the bank address and send to Estonia. Remember to activate your EUR account before trying to add Coinbase as a beneficiary. On Gdax, what type of trades should be use to buy and sell the bitcoin? There’s some information on this here. I usually set a limit order so that I’m classified as a maker, and not a taker, on the market. This is because you’ll be charged 0.1 – 0.25% in fees if you are a taker (see here for information on fees for GDAX). You can read about the basics of what a maker and taker are here. Thanks for your post. It is super helpful and easy to follow…which I will be. What exchanges and wallets would you recommend for buying and storing other altcoins? Apologies in advance if you have written another post on this that I haven’t seen. For exchanges, I’ve written a brief post here. I can usually find most of the coins I want to buy on either Bittrex or Binance (with Binance being my favourite), but there are some other popular options you could consider. The general consensus is that you shouldn’t store funds in online wallets. I answered a question about this recently on Reddit here, which briefly explains why. The easiest (and safe) option is to use a hardware wallet, such as the Ledger Nano S or Trezor. Although you can’t create wallets for all cryptocurrencies with these devices, they cover the main ones (Bitcoin, Ethereum + ERC20 tokens, Litecoin, Dash). Compared to the Trezor, Ledger has more altcoin support (with Monero and Neo coming soon). You can buy both from Amazon (Ledger is here + Trezor is here) if you want them ASAP. The Ledger Nano S is what I use. For less than £70, this gives you peace of mind. Alternatively, you could install the official wallet releases (from the developers) or a multi-currency wallet, like Exodus or Jaxx, on your desktop. I don’t use them, but they seem well recommended. They are free and easy to use (in most cases). Unless these use two-factor authentication, they are probably less secure (as a compromise of your PC could reveal the keys/passwords to someone over the Internet). Hope that helps! I will have a more detailed post about wallets, exchanges, and security soon’ish. Great article! Can you add https://www.solidi.co to that list along with Bittylicious etc. We’ve been going for two years, thousands of happy customers, backed by some big names. We also buy back BTC at good rates, with instant payments to UK bank accounts. Looks good – I’ve added Solidi in now. Thanks for this guide. I’ve used option 1 and successfully purchased some coin via GDAX. I’m based in the UK. I used your referral code to sign up to Coinbase, deposited some EUR into it via my Revolut, then signed in to GDAX, transferred the EUR and purchased some ETH. How do you and I benefit from the £10 referral bonus? Coinbase still tells me to add a bank account and verify myself by purchasing some coin via Coinbase. 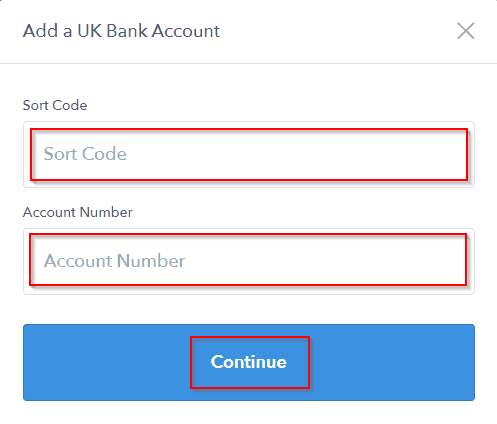 Coinbase doesn’t let me add my EUR revolut account, only my UK one. I then have to transfer €6 minimum to verify, but this will incur costs when transferring from GBP to EUR. How do you suggest we take advantage of the referral bonus? This should work if you purchase with a debit/credit card for your first purchase with Coinbase (but you will pay 3.99% fees). Otherwise, you could deposit to Coinbase like you did originally – but purchase via Coinbase and not GDAX (as that’s a requirement to get the bonus). You shouldn’t need to add Revolut as a bank account in Coinbase unless you’re trying to sell + withdraw. Hope that helps! If you still have issues, let me know and I’ll dig around. Thanks for all the great insight on this thread. I’m a futures trader and looking to day trade bitcoin using similar strategies. Problem is I’m totally lost as how to start trading from a fiat account. What I hope to do is open a fiat account with one of the bitcoin wallet companies or the exchange itself and deposit say £10k to begin with. Then I’d like to start buying and selling bitcoin from that account. Is this even possible to do at this stage, I.e have a segregated fiat currency account whilst you buy and sell bitcoin that you go flat on at the end of the day? If so could you kindly recommend a bitcoin company where I can open a GBP account (or USD) and have the ability to trade off the exchange with good execution and low fees? Hope this isn’t just a pipe dream at this point in time! Either Coinfloor or CEX might be what you’re looking for. In particular, Coinfloor looks attractive as they don’t have any trading fees – just deposit and withdrawal fees. I haven’t looked in-depth into either of these platforms, so can’t speak or recommend from first-hand experience. You didn’t ask, but there are tax implications of cashing in/out of bitcoin in the UK if you go over the tax-free threshold. If you’re interested, I can pass on a few Reddit threads which I have saved. If you’re looking for something to track your trades once you get setup, check out this post. Understood, thanks! This wasn’t a biggie as it’s only £7 but I was just curious. Thanks again for the guide. I used Fidor Bank and Kraken exchange to buy/trade BTC and other alts. I recently sold a lot of my position back to fiat, and am not happy with the amount of Euros I have sitting on the Kraken exchange. I can not withdraw back to Fidor as UK account holders are not provided IBAN and BIC numbers. I am currently looking in to Revolut, as a means to taking the Euros off the exchange. Are there any other methods you would recommend that would not sting me too much on fees/exchange rates. I don’t use Kraken anymore, as I just had too many issues with it – so this might not be up-to-date or 100%. From what this says, you should be able to withdraw directly from Kraken to Revolut as you’re able to activate a personalised IBAN inside your Revolut EUR account. However, there are contradictory reports on Reddit from Kraken themselves (see here) which say it isn’t possible to go directly to Revolut. Setting up a Fire.com personal account (which has a UK and EUR account) might work. I outline the main features of it here (scroll down to question beginning “Hypothetical”) and the process you’d through for buying (which you can just reverse for selling/withdrawing). I’ve seen reports this works, but don’t have links to verify that. Alternatively, exchange from EUR to BTC and send your BTC to GDAX. From there, you can withdraw to Revolut, exchange from EUR to GBP (free up £5000/month), transfer to your UK bank, and then make it rain. I’ll attempt to verify this information tomorrow if I’m able! I’ll reply again when I get an update, but hope that helps for now! Just an update to my previous reply. I’ve tested going from Kraken to Fire (EUR account), as well as from Kraken to Revolut. Both completed with no issues. If you’re going through Fire.com (EUR), you could then opt for a service like TransferWise (outline here) which exchanges from EUR to GBP for about 0.5%. As the Fire.com account is in your name (by default), this shouldn’t be an issue. If you go through Revolut (because 0% FX transfers are hard to beat), make sure to activate your personal EUR IBAN. Instructions are in this post, but also here (Q: Error: “Beneficiary not allowed”). I really appreciate the detailed reply, I came across Fire.com after posting the question and have opened an account. I am yet to try a withdrawal, but will this coming week. I have favourited this invaluable information for future reference, and will certainly link anyone else to it who is in a similar position as I am. One further question, what are your favoured exchanges? As well as Kraken I use Bittrex a lot, and Bitfinex and Cryptopia a bit, but wondered if you recommended any others and why. Thanks again, GL in the Crypto Space. Glad you’ve found the site useful! Happy to help. I find myself using Binance more and more. Fees are good and they have a good selection of alts to trade (which is growing fast). They seem well recommended by others, but there are improvements that they still need to make to their platform. For new users with low volume, the verification requirements are low too. I use Bittrex (average fees, decent alt selection) when I have to, but stay clear from Bitfinex. I honestly haven’t researched what’s going on with Bitfinex and Tether much, but it doesn’t look good. If you’re interested, dig through some of this person’s tweets. Hope this helps and GL too! Can confirm that Revolut are not allowing this transfer now. I wonder if it is because they are soon going to offer Bitcoin purchases natively within their app. In which case, bring it on! ok scrap that – I hadn’t activated. Just read your FAQ! Hey Marc! Glad the FAQ solved your issue! Hi, I’m getting an error on Revolut saying “beneficiary not allowed” when trying to transfer from revolut to coinbase/gdax. Anyone had the same issue and know how to get around it? Check out the first question in this post – it should sort you out. Once you have followed those instructions, do give it at least 10 minutes before trying to add Coinbase/GDAX as a beneficiary again. Thanks Penguin, this is helpful. However, it seems that Revolut has its own crypto exchange / purchase system. I have bought through this as I have a premium account. I was expecting to have to set up a GDAX account, but it did not seem like I had to. Are there any issues in using this, or should I still get a separate wallet and keep somewhere else? Apologies if this is a basic question, but I am still a little confused. I wrote this post before Revolut’s in-app cryptocurrency exchange was released, so none of what’s described applies to their in-app exchange. The main issue with using Revolut’s in-app cryptocurrency exchange is that they do not allow you to withdraw cryptocurrency from their application. So even if you wanted to withdraw to your own private wallet (which you control), you wouldn’t be able to. This means you have to trust them to look after your cryptocurrency. The buy and sell price is also calculated using Volume Weighted Average Price (VWAP), which essentially means you’re not going to see the ‘real’ price that the market is currently trading at. If you’re just looking to gain some initial exposure to the most popular cryptocurrencies, then this works well – but it isn’t a replacement for buying elsewhere and storing the cryptocurrency in your own wallet. I recently put together a FAQ for beginners (which is aimed at those in the UK) with someone else, which you might find useful too. You can find that here. Hope this helps! If you have any more questions, please do ask. Hi Dean, great articles here! Would you consider adding CoinCorner (https://www.coincorner.com/) to the list alongside Solidi etc, please? We’re a UK based bitcoin exchange and have been operating since 2014. We have 130,000+ customers and offer a variety of payment methods. Customer support is also on-hand to help with any queries. Thanks for saying so! I’ll reach out via email for that information pack. 1) Go to ‘Accounts’ in the top bar. 2) In the left sidebar under ‘Your Accounts’, select ‘Deposit’ under the ‘EUR Wallet’. When I click on EUR Wallet > Deposit displays a form wanting me to enter my bank account details. From your description, I was expecting Coinbase to give me its own bank account details, which I would then enter into Revolut. What should I do? Do I now have to add Revolut as a bank account on Coinbase? What implications does this have? You’re right. Something must have changed since I originally wrote the post. 1) Go to Coinbase Pro instead. If you’re already registered on Coinbase, you’ll also have a Coinbase Pro account (you might have to just confirm some details). 4) In the order form section just below that, select ‘Deposit’. 5) A new window pops up. You should see the SEPA details. If this works, the funds will be deposited straight into Coinbase Pro (which saves you a step). If that doesn’t work, let me know and I’ll do some digging. Yep that seems to have worked. The finds have been sent and I’m waiting for them to be received by GDAX. Glad it worked! Thanks for commenting and letting me know. I’m confused: at the start you say buying through Coinbase is the most expensive, then at the end that Coinbase Pro is the best way!? It can be confusing and I need to update this post to make it clearer. To quickly explain: Coinbase have different fees for different payment methods. For debit and credit cards, they charge about 4% (which is what I mention at the start). But for purchases made via (GBP) UK bank transfers, they charge just 1.5%. However, Coinbase Pro (connected service, but aimed at different users) charge much lower fees (<0.3%). If you do it right, you can use Coinbase Pro to buy bitcoin at the best possible price. Hope that clears it up a little! If not, let me know! Thanks! That’s cleared it up. Hey guys! 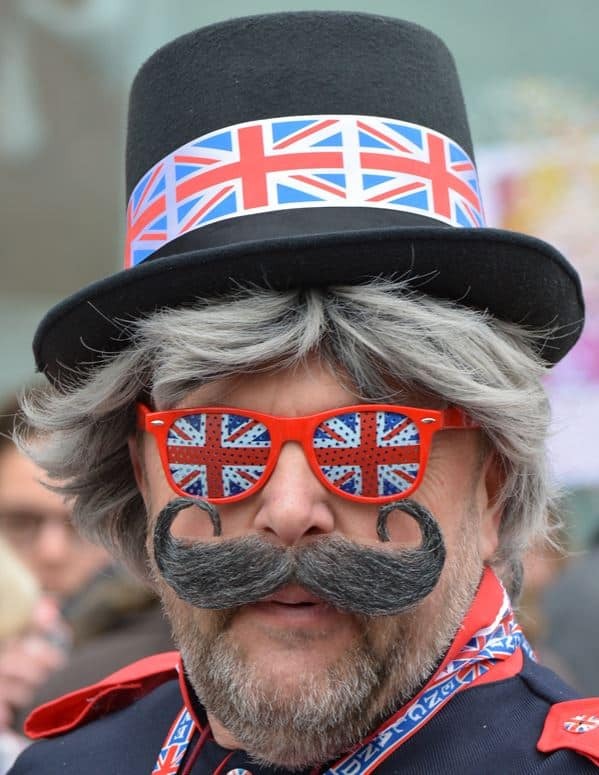 There’s a new way to buy and sell Bitcoin that’s just launched in the UK called XCH4NGE. They’re similar to LocalBitcoins, but have sub 5 minute transaction times, corporate banking infrastructure to receive and send payments (keeping your banks happy! ), and excellent customer support. Thanks for the comment! Bit busy at the moment, but I’ll check XCH4NGE out soon.